Epic snow conditions and productive meetings took place in Steamboat Springs, Colorado, where over 200 industry professionals gathered on February 28th and March 1st for the annual WSIA Summit to collaborate and focus on topics including safety, risk management, advocacy and participation growth. 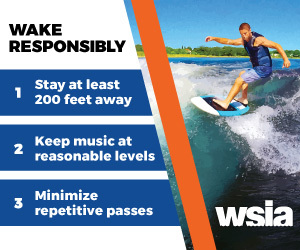 The WSIA’s mission is to promote and protect the future of all towed water sports, and over the course of Summit’s two days, members, board of directors, and committee chairs alike all moved the industry a step forward. Enjoy the 2019 WSIA Summit video recap, courtesy of Ross Dantonio.